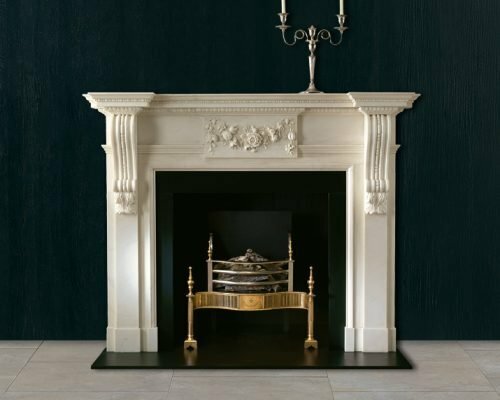 Chesneys Georgian collection encompasses chimneypiece design throughout the 18th century. 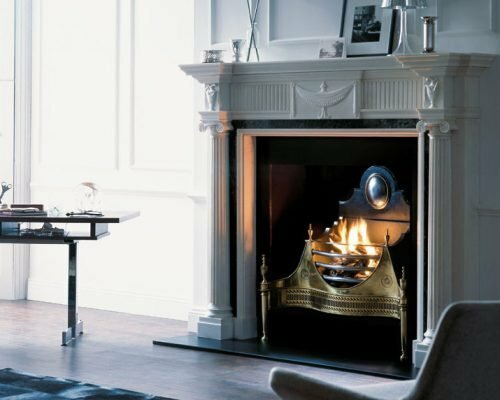 Georgian fireplace design was based on the classical orders and followed strict rules of proportion whilst employing a rich and varied range of decorative devices. 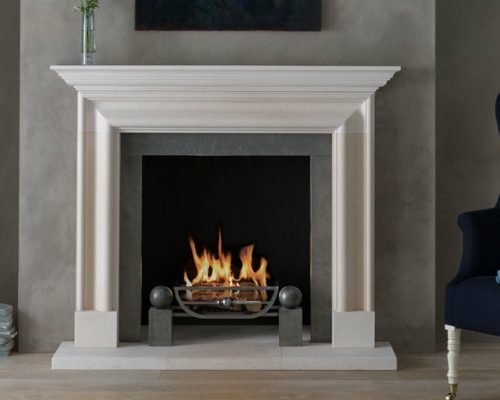 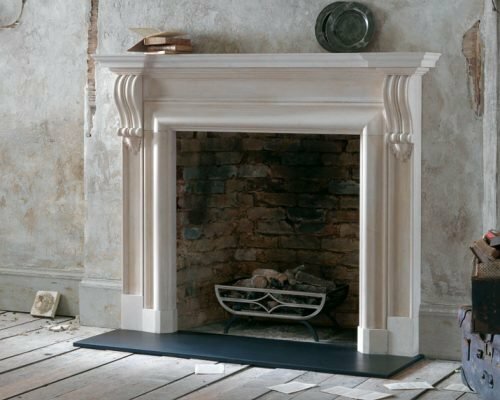 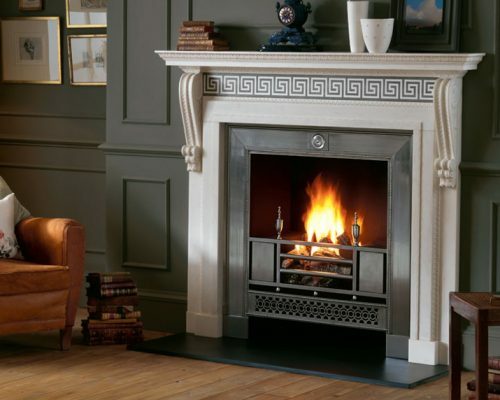 The first half of the century saw Palladian architectural influence in the ascendancy but fireplace design was revolutionised mid-century by Robert Adam, with a new and elegant repertoire based on a wide variety of classical sources. 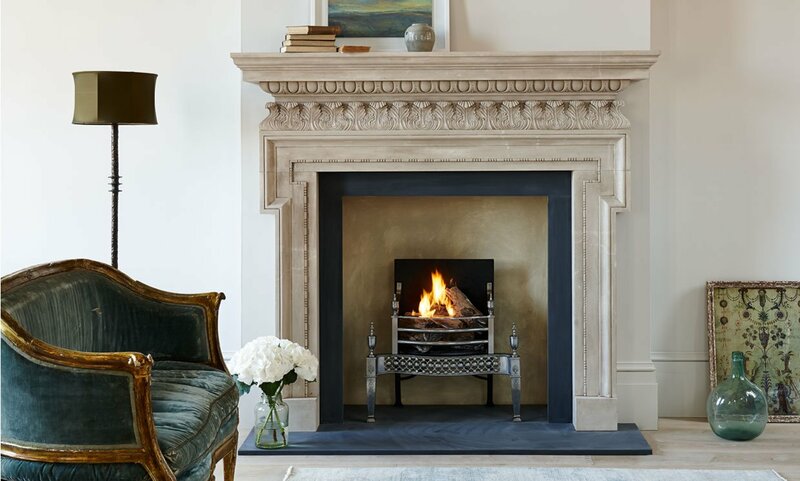 Fireplaces acquired a lighter and less robust appearance displaying crisply executed low relief carving and the use on inlaid coloured marble became popular, providing a striking contrast to the remainder of the fireplace which was always worked from statuary marble. 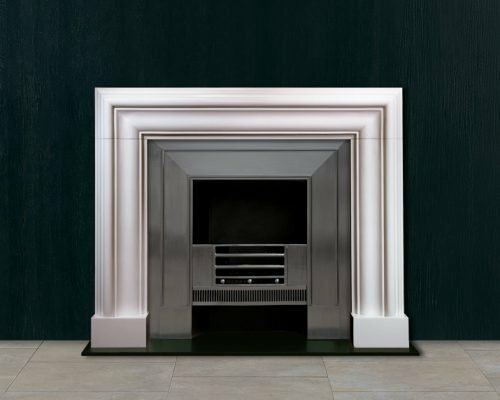 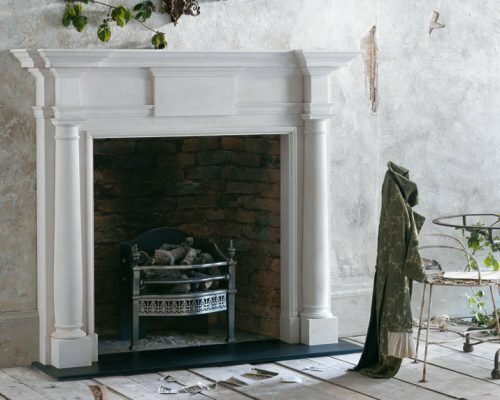 The Flaxman is a chimneypiece of strong architectural form with side projecting consoles and finely detailed inground mouldings. 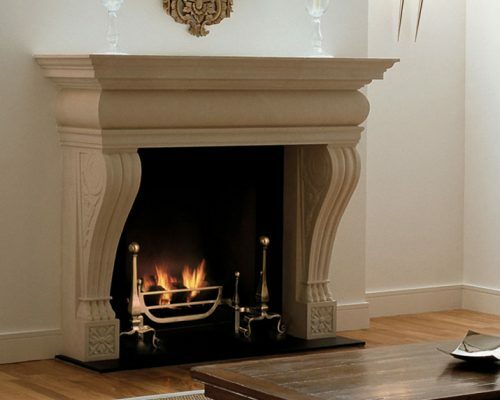 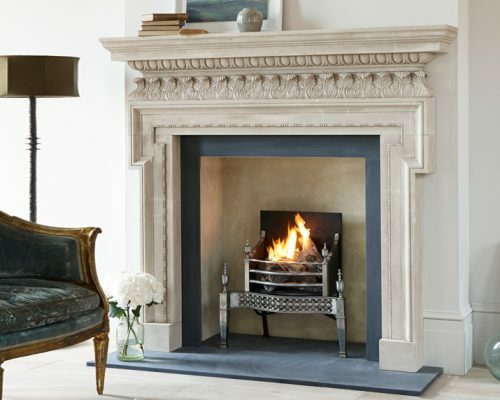 The Clandon fireplace, carved in limestone, is based on a Queen Anne design from the beginning of the 18th century. 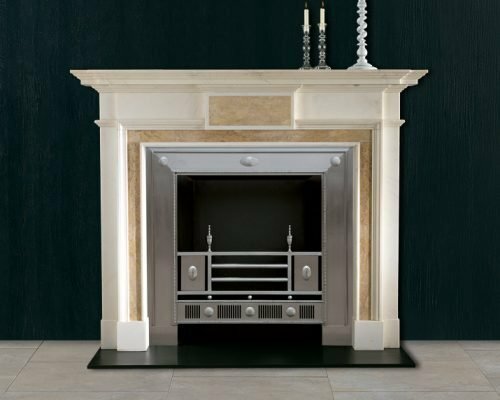 An 18th century neo-classical chimneypiece which shows the influence of Robert Adam. 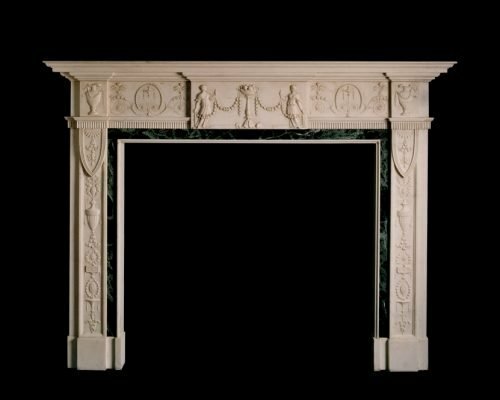 A handsome Georgian chimneypiece that displays the popular 18th century device of inlaying a contrasting marble within a statuary marble field. 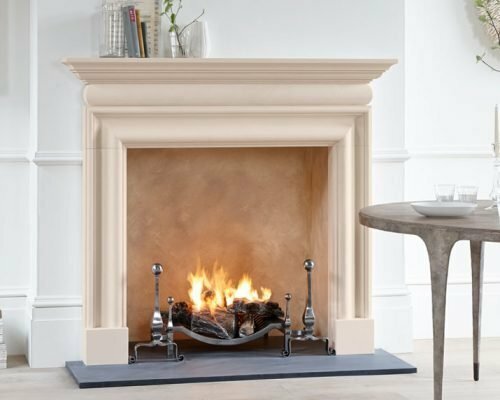 The Alderney is the most recent addition to our Georgian Collection. 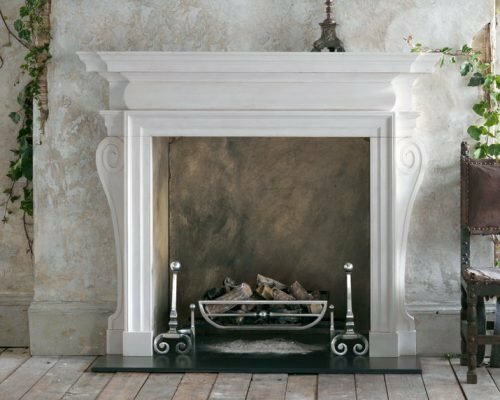 The Athenian is manufactured in statuary marble with Etruscan Gold centre tablet and ingrounds. 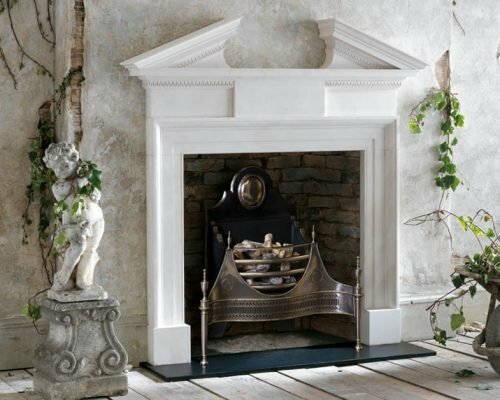 A fine example of mid 18th Century design with robustly carved acanthus corbels with floral centre tablet with statuary marble ingrounds. 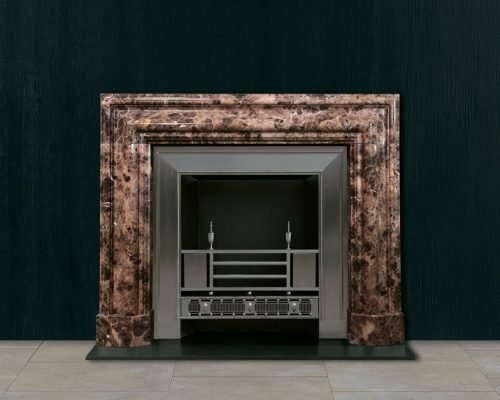 Lutyens re-imagined the bolection in many different forms.